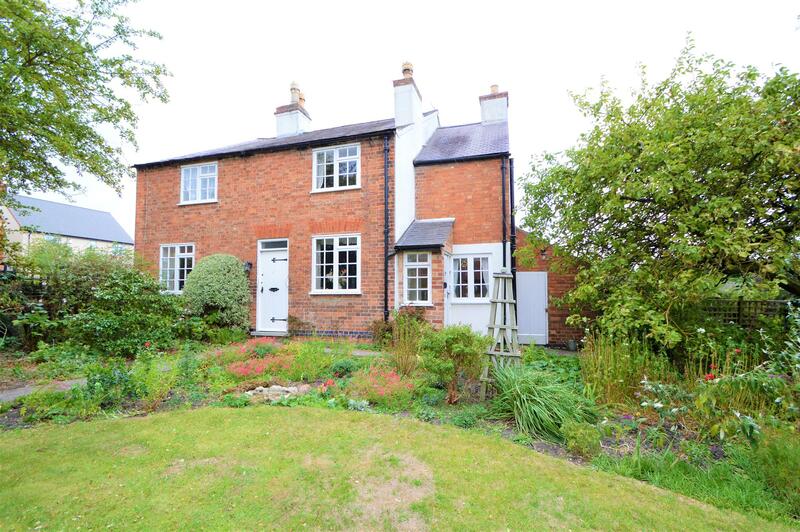 Benjamins are delighted to present to market this character cottage in the sought after South Nottingham village of Keyworth on Selby Lane. The property benefits from having no chain and briefly comprises: Entrance Dining Room, Living Room, Kitchen, Upstairs Bathroom, Two Double Bedrooms, Garden, Off Road Parking & Garage. Must be viewed to appreciate the character and charm of this cottage. To arrange call Benjamins Sales on 0115 9371713. With entrance door, tiled floor and two glazed windows to the front aspect and door to the Kitchen. Glazed window to the front aspect. Fitted with a range of matching wall and base units with work surfaces over. One and a half bowl stainless steel sink unit with mixer tap over, tiled splash backs, floor standing central heating boiler, space for cooker, tiled floor, space for fridge and plumbing for automatic washing machine. Access to inner lobby with under stair storage and dining room. Glazed windows to the front and side aspects. Beamed ceiling, carpet, radiator, wall lights, brick built fireplace with tiled hearth housing log effect electric fire. 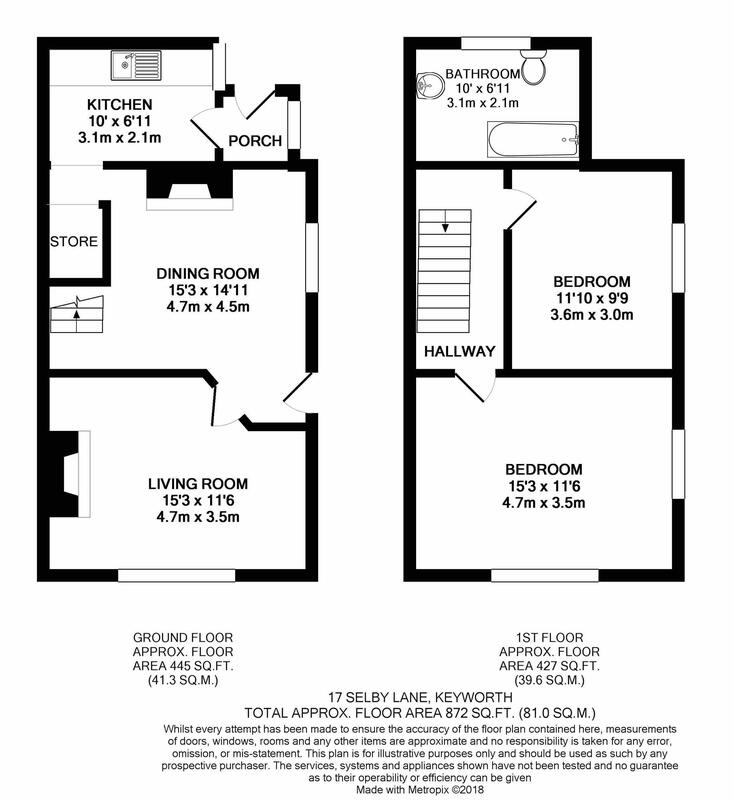 With access to loft space, ceiling light, carpet and latched wooden doors to family bathroom and two bedrooms. With glazed windows to the front and side aspects, carpet, beamed ceiling, radiator, single fitted wardrobe with wooden latched door and further double fitted wardrobe with wooden latched doors. Glazed window to the front aspect, beamed ceiling, radiator, carpet, ceiling light, Fitted wardrobe with wooden latched door, and further built in cupboard housing the hot water tank and shelving. Glazed window to the front aspect, radiator and fitted with a white three piece suite comprising panelled bath, low flush wc and wash hand basin with vanity unit below. The front of the property gives access to a driveway and detached garage. There is also a gate giving access to the attractive cottage garden with borders well stocked with a variety of trees, plants and shrubs, two apple trees and an attractive shaped lawn.